Ahhh, Spring in Montana! Everything is in bloom, the grass is getting greener, and occasionally we get a reminder that we live in Montana with a sprinkle of spring snow just before our kids’ soccer games (Really? More snow?). If that’s not annoying enough, we start to listen to the sniff and snorts of our kids’ spring allergies as well. After just completing a long winter of “Endless Boogers” (see March post), we are now confronted with another wave of secretions from springtime allergens. Usually they are clear, and not quite as gross, but can still be mildly debilitating to the youngsters. 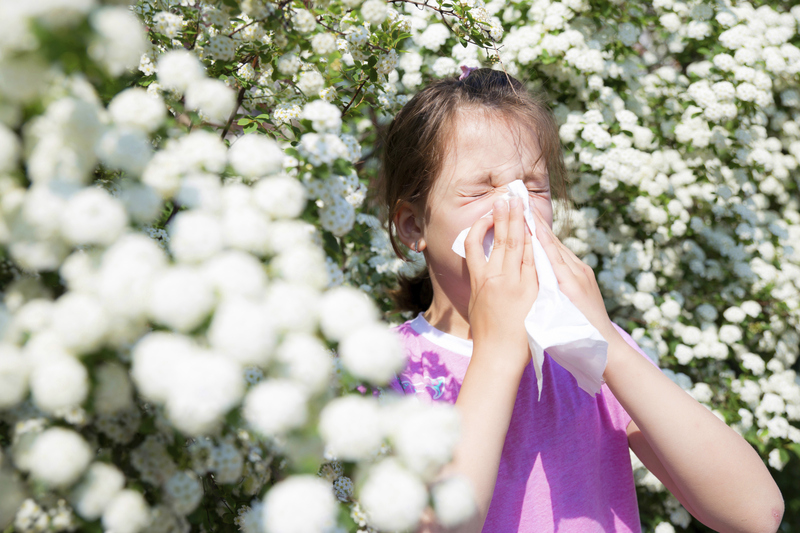 Runny and itchy noses, sneezing, watery eyes, mild post-nasal drip causing throat-clearing and coughs…these are all symptoms of seasonal allergies. There is usually no fever and the kids don’t really act sick. But, they can’t breathe through their noses well and sometimes their sleep is disrupted. What about that sneezing newborn? Typically not a seasonal allergy. They have to be about a year old to develop seasonal allergies. Their immune systems have to have at least 1 season of exposure to different pollens, grasses, etc. to create the symptoms of seasonal allergies. Kids will sometimes have a bit of seasonal allergies for a time, but they aren’t too bad and can be relieved with an occasional dose of over-the-counter allergy medication. In some cases, the allergies can trigger more problematic issues like asthma attacks, skin eruptions, and ear or sinus infections. If those problems become more recurrent, it is sometimes helpful to see an allergist to get better control and be tested for specific allergens to avoid if possible. There are many Montana springtime allergens out there. Ragweed, sagebrush, and other pollens are the usual suspects. But, at least we don’t rank in the Top 10 worst spring allergen cities in the United States! Jackson, MS topped the list last year. To see if it is a higher than usual allergy season or to get the day’s pollen counts, look no further than any weather-related website or app (The Weather Channel has a good one). We all can’t wait to get out there in the springtime and release ourselves from the indoors. Hopefully your outdoor activities won’t be too hampered by the pollen. But, hey, it’s better than snow!